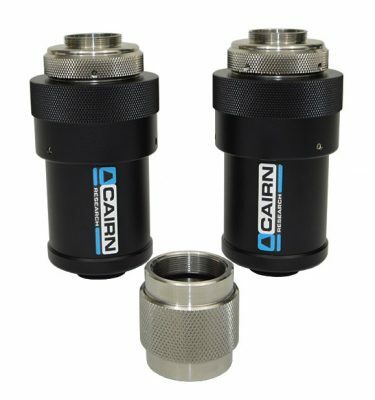 The Cairn Optospin IV continues our long tradition in filter wheel design, dating back to the 1980s, but taking full advantage of the continuing developments in motor and control technology that have taken place since then. 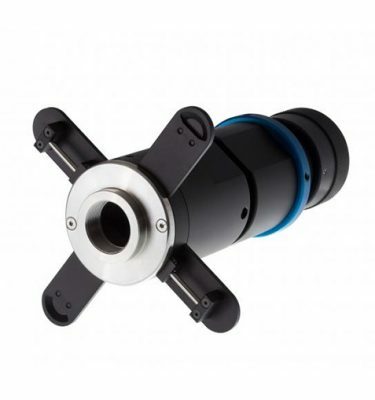 It builds on our tried and tested approach of mounting the motor directly within the hub of the filter wheel, in order to maintain a compact size (no motor bulge!) 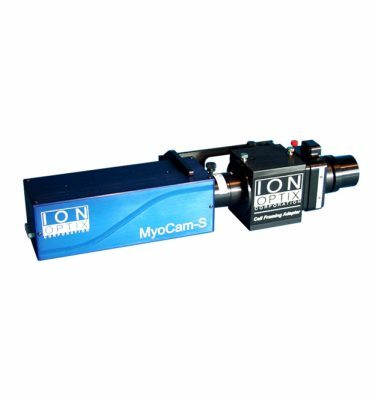 and to minimise the inertial and other losses associated with geared connections. 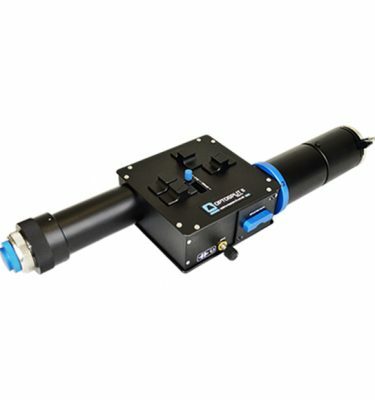 Our previous design of this type used a relatively small wheel with 12.5mm diameter filters in order to further reduce the inertia – and hence the response time – but by using a newer and much more powerful type of motor, we have been able to obtain similar performance with this 25mm filter design. 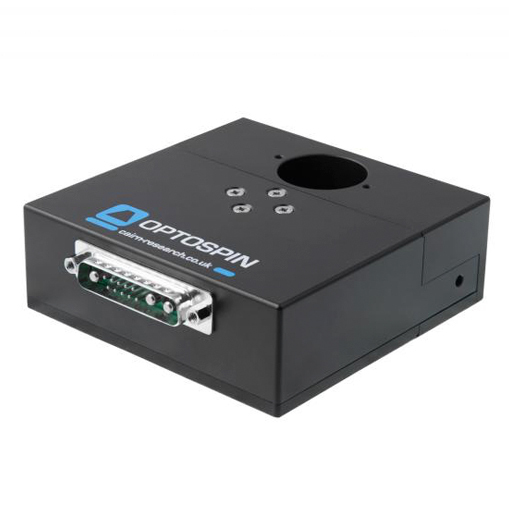 In addition to fast stepwise operation the OptoSpin IV can spin continuously over a wide range of speeds. 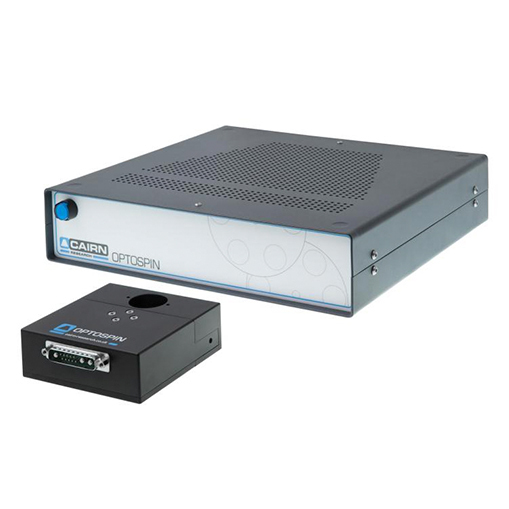 Continuous spinning allows wavelengths to be changed on a millisecond timescale, as required for high-speed imaging, and also avoids the inevitable vibration problems associated with stepwise operation. 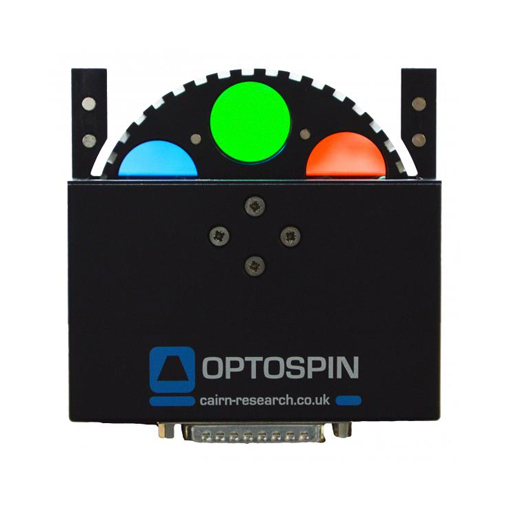 The OptoSpin provides all the timing signals necessary to synchronise a camera and solid-state lightsource with the filter changes. To minimize inertia we have standardised on a six-filter wheel, but it is offset within its housing so that two housings can be joined in an interlocking fashion, to allow ten positions within a mechanical path length of 35mm. Another useful mode, which is also supported, is to use the second wheel as a counterbalance, driving it so as to compensate for the reaction torque from the other wheel, and hence reduce vibration. 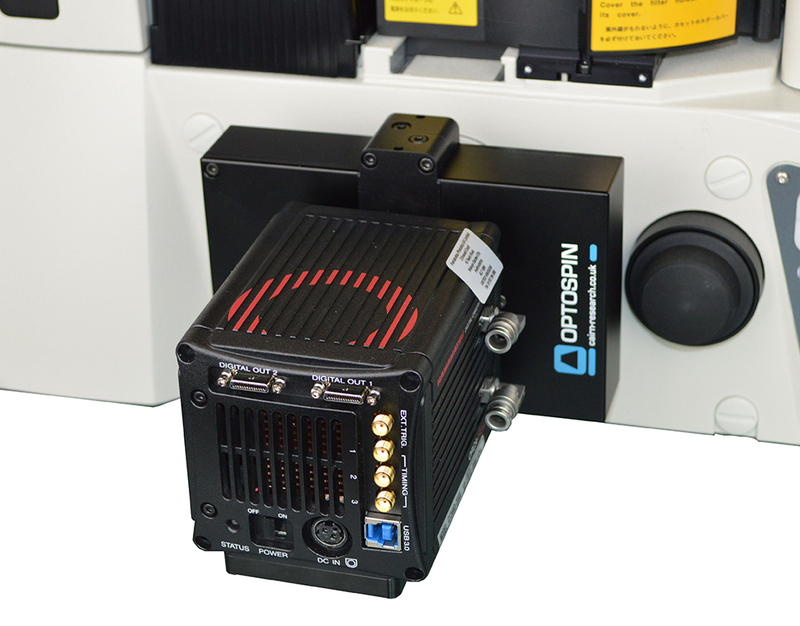 The controller box can drive up to two filter wheels simultaneously, and can interconnect with other equipment by either a digital or a USB interface. In spin mode, any or all wheels can be spun in both speed and phase synchronisation, either at an internally programmed speed, or locked to an external reference frequency. In step mode, wheels can be simultaneously but independently stepped between any combination of filter positions.